The Vallée Blanche is the one route that an aspiring off-piste skier should do once in their lifetime. 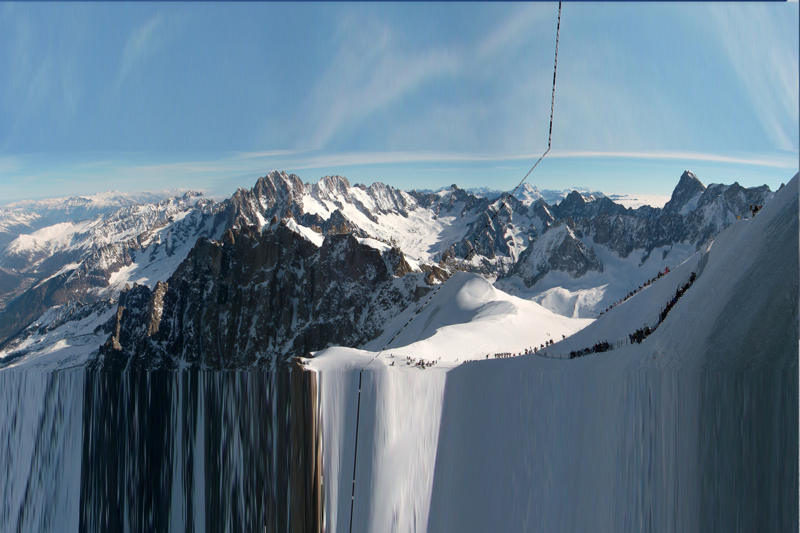 It leads from the top of the Aiguille du Midi right down to Chamonix. The route puts you in the midst of awesome rock faces, glaciers, seracs, and crevasses in an unbroken run down into the valley. The route is suitable for a fit intermediate to advanced skier. 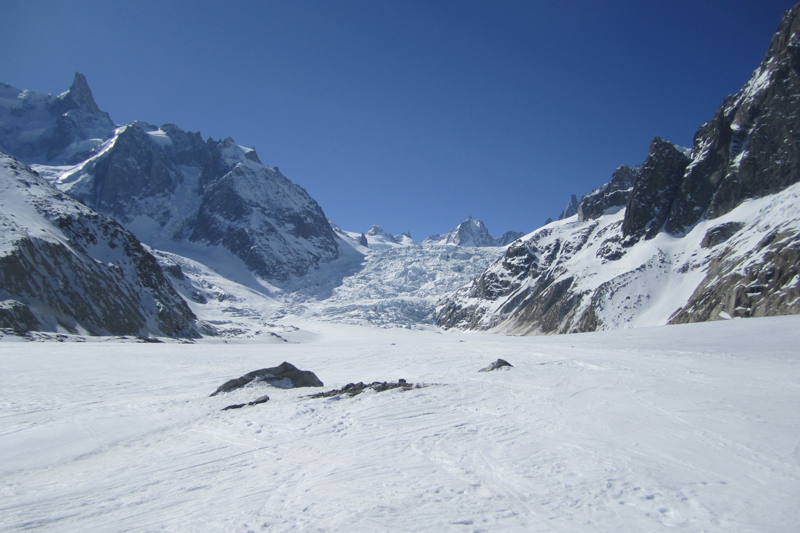 By Chamonix standards, the route is not truly steep, but it is exceptionally long and includes all the standard challenges of off-piste terrain. If you are less than an advanced off piste skier, you should take the option with an extra day of training. 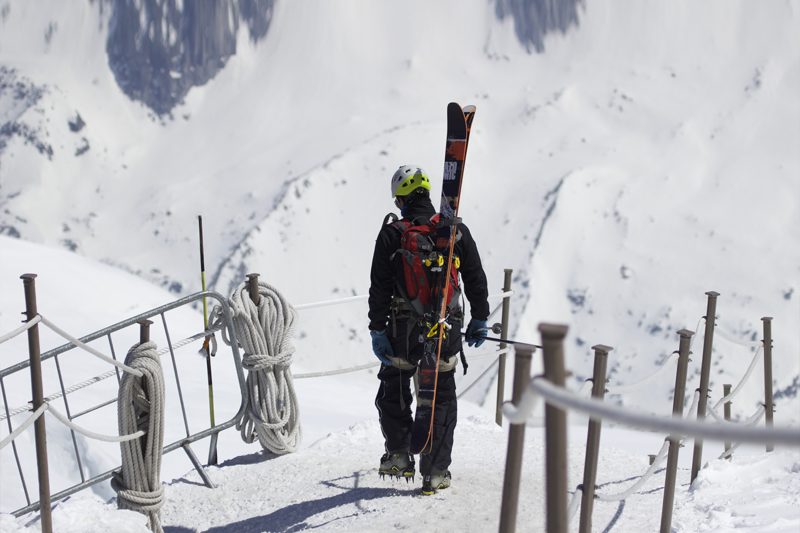 Chamonix is the place to make the advanced skier drool. Nowhere can beat it in terms of mountain scenery, steepness, and extent of off piste terrain. There is a fabulous and extensive lift system to up from the valley to the high mountains. 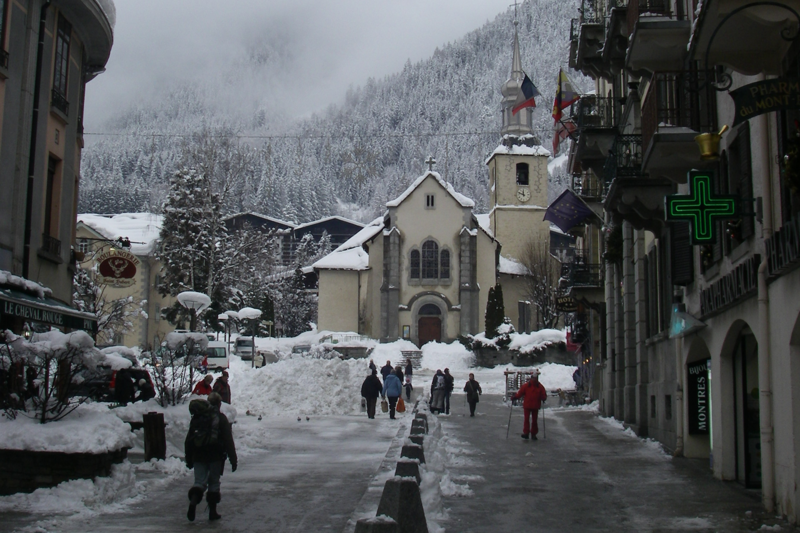 Chamonix and the Ski Area Chamonix is a bustling alpine sports centre. It offers lots of bars, restaurants shops, and a busy night life. The skiing area is generally considered to have some of the best off-piste and backcountry skiing in the Alps. Much of this is accessible from the lift systems and includes descents of over 2000m. The Chamonix valley has numerous up lift access points over the massif, offering excellent descents at all altitudes, aspects and lengths; so plenty for everyone. It is necessary for you to have the appropriate insurance for this trip. Make sure it is relevant for mountain sports, and that it includes liability insurance, helicopter rescue from mountains, and repatriation. There are other factors you should also consider. Our insurance partner TAGIS will be able to advise you on al your insurance needs. Note: This is only a guide to your itinerary. This trip involves travel to high altitudes and to areas where a short notice change of itinerary may be necessary. The details of the itinerary may be altered to suit the particular participants, inclement weather or for any other reason deemed necessary. * Fly from UK to Geneva. Transfer to Chamonix: 1 1/2 hours. Arrive in Chamonix and settle in to the accommodation. Afternoon on slopes. Meet guide; equipment check, and trip briefing. * Breakfast. Ascend lifts to the Aiguille du Midi, and a descent of the Vallée Blanche. Route options include including a challenging variation or including an awesome vantage point for an extra descent. Sunday Evening: check out; transfer back to Geneva, for flight to UK. All guiding fees and expenses.